April 7 is World Health Day and the theme the WHO has chosen for this year is Universal Health Coverage (UHC), which means #HealthforAll—that every person the world over deserves to access quality healthcare and not have to face financial hardship doing so. UHC is not just about paying for treatment or hospitalizations or securing health insurance, but also includes strong primary healthcare and prevention. Non-communicable diseases (NCDs) including heart disease, diabetes, cancer and COPD are a big problem in India. More than 20% of the population in India has one chronic disease; 10% more than one. India is a diabetes capital: in large cities like Chennai, 75% of the adults are either diabetic or pre-diabetic. And Indians get diabetes 10 years earlier than Westerners. India also has a very young population—two thirds of the 1.3 billion people living there are less than 35 years old. So very large numbers of people are likely to get diabetes in the near future, which could lead to a staggeringand alarming public health crisis. The impact of NCDs on people’s lives is huge. Our 10-country study of 10,000 women confirmed that. The study gave us an opportunity to do a reality check on the ground, asking how people pay for their healthcare. One quarter of the women said that 25% of the family income is spent on NCDs. One in 10 women said 50% of the family income is spent on NCDs. That is unsustainable, and surely in the era of Sustainable Development Goals we can do better than that. Our study further showed that 40% of the women we talked to paid for healthcare out of pocket, sometimes borrowing money from friends and family to pay. The grassroots data from our study scream for universal health coverage. India has made great recent strides toward UHC. India’s Ayushman Bharat, started in August 2018 to address the growing threat of NCDs, is being touted as the biggest healthcare scheme in the world. The government is committed to providing decent financial support for hospitalizations and tertiary care ($7,100 per family per year) to 100 million poor and vulnerable families (i.e. 500 million people). In addition, 150,000 primary healthcare centres are being set up around the country for comprehensive healthcare. While some people are impatient and believe Ayushman Bharat should have achieved more by now, others call it a godsend. We believe one must give marks to a country willing to take the bull by the horn, and attempting to seriously address NCDs for 40% of the population at the bottom of the pyramid. But it is not just the government’s responsibility to address NCDs. It is all of society’s. At Arogya World, we believe it is ours. It is also the responsibility of companies. Of doctors and frontline health workers. And of individuals and families. What can a non-profit do to address what the world has recognized as one of the biggest health & development challenges of the century? How do we not lose heart when faced with the enormity of the problem? We do it by thinking smart, by thoughtfully designing programs, and measuring impact. We do it by leveraging mobile phones and the exciting technology platforms being built today. We do it by joining hands with donors and partners, combining their resources, reach and infrastructure along with our passion and commitment to together making greater public health impact. Civil society matters because we can take prevention to people where they live and learn and work, literally to the last mile. We can advocate and agitate as Sir George Alleyne goads us to do, and get governments, leaders and world bodies to listen. We can work with government, and employers large and small, to bring about systems change at scale. Let me describe here one of Arogya World’s programs: Healthy Workplaces. This program has recognized 116 companies with 2.5 million employees as Healthy Workplaces in India through 2018, and is getting them to improve their employee health programs. Indeed, we are encouraging the most promising among these to become data driven around health. Not only is this system-wide change designed to improve the health of working Indians, it is also an opportunity to go deeper and make longer lasting change. I would like to highlight two additional ways we are adding value and going deeper to make longer lasting change. MyThali is a new nutritional icon we have developed, based on India’s National Institute of Nutrition guidelines. We are using this tool to teach working people what to eat and in what quantities at each meal. We believe MyThali can help Indians eat right. In fact, our work was validated again just a few days ago by the Global Burden of Disease report in The Lancet that suggests one in five deaths (about 11 million) is linked to unhealthy eating habits. We are also persuading our companies to address mental health in the workplace in solidarity with One Mind At Work by speaking to high-powered groups of business leaders, by holding major sessions on mental health at our annual Healthy Workplace conferences (this year on November 5 in Delhi), producing case studies of the best mental health approaches at pioneering companies in India, and by marshaling the media to cover the issue. 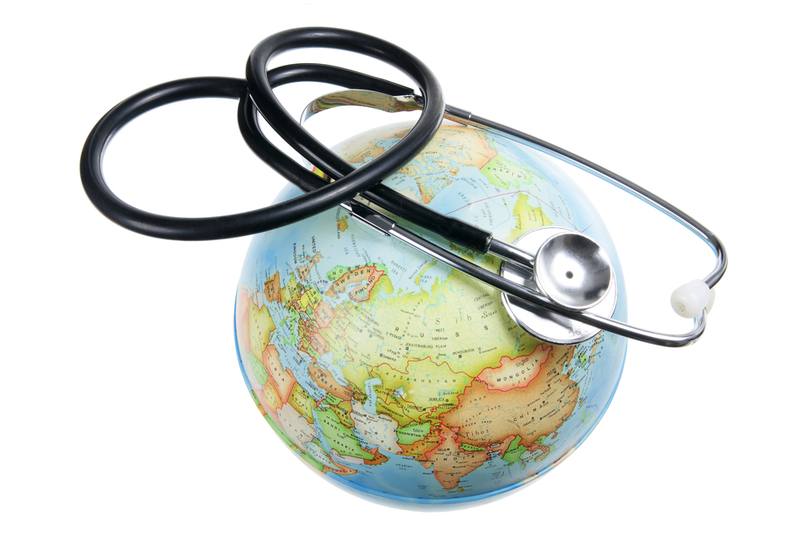 Reflecting on global health trends, NCDs at one stage seemed almost insurmountable. They are still daunting, given funding is scarce, and regulatory hurdles create unnecessary barriers. But UHC has given all of us a much-needed focal point of consensus. Whether we are working in HIV or women’s health or NCDs or mental health, we all agree UHC is needed. Everyone, everywhere, we all agree, deserves to lead a healthy life. Health is a human right. And it is our collective responsibility to make sure the world delivers on that.